Early this morning I was struck by the magnificent contrast of darkness and light as I drove into the mall where my sermon-writing Starbucks resides. 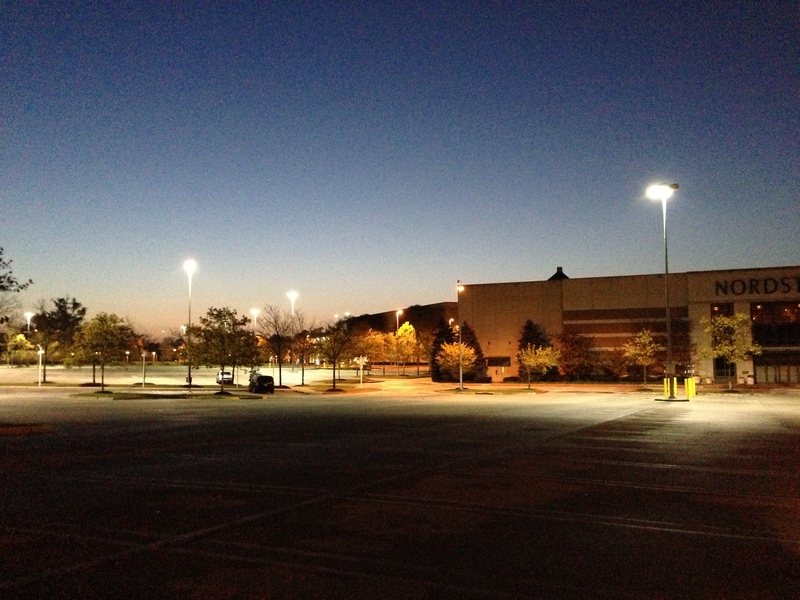 It seemed as though east and west converged and dark and light clashed in the parking lot just above my head. In the sky I could see both last night and this morning at the same time – it was a magnificent display. Without fail this happens every morning. Today our church enjoyed a magnificent Fall Festival. The temperatures were in the 60’s and low 70’s. The sun shined on our property to beautiful live music as hundreds ate, rode horses, got their faces painted and enjoyed a hayride, to name a few of many fun activities. Just yesterday it poured in our area. But that was yesterday. Then today came, and everything was different. Who could predict? Even as I type my hometown college football team is playing on TV. And there is no way to predict how the game will turn out. And if the two teams were to play again tomorrow the outcome would be equally unpredictable. Yet in roughly nine hours, just as with when I turned into that mall lot, the sun will rise, and somewhere in the sky darkness will once again give way to the light of day. It is our reminder – One of those subtle prompts God has given us to look to when we are freshly revisited with the disappointments and heartaches of our broken world that leave us feeling alone and depleted. With each new day the morning announces that God isn’t going anywhere, and with Him comes fresh mercy and unfailing love. He has given us each new morning to remind us that while everything we look to in this life will eventually fail us, He won’t. I will. But He won’t. You will. He doesn’t. In a time when his nation was slipping into captivity, and he had every reason to despair, the prophet Jeremiah connected the dots and remembered God’s unending love and fresh mercy (Lamentations 3:21-24). How did he do it (with the help of God’s Spirit)? Hey, our world is a fallen one, so life will always be sprinkled with sorrow, disappointment and pain. But as the sun rises with each new morning we have the assurance of a God who refuses to allow His goodness to be darkened by a hopelessness His Son Jesus has already overcome. Like you and me, Jeremiah was unfinished, and he needed something bigger than himself and his sorrows to get his feet back on the ground, because his own circumstances had outdistanced his ability to cope. So God gave him a new morning. And in a few hours, He will give you one as well. Reminds me of the old Cat Stevens (I’m dating myself) rendition of “Morning Has Broken”…I used to love listening to that. You are currently reading Every Morning at unfinished1.